Boasting large capacity with up to four convection fans, our ovens have what it takes to handle cooking a turkey from start to finish. For a more enhanced cooking experience, our Dual Fuel ovens come equipped with our new Home Chef Software. This special cooking feature allows the user to customize their cooking experience by choosing conventional time methods of cooking or a SUPERIORE cooking experience with our meat probe to ensure perfect results. Then, when the cooking is finished and guests have been served, our Dual Fuel ovens are prepared for tackling the leftover mess with self-cleaning capabilities. Get the roasting pan ready and let’s cook a turkey! Begin by preheating your oven to 325-350° (170-180° C) using the Home Chef System. Next, give your turkey a good cleaning. When you’re finished, dry off your turkey with a towel. Take some butter in your hand and coat the inside cavity of the turkey. This doesn’t require a lot of butter, but just enough to create an even coat. Once you’re finished, season the cavity with salt and pepper. Now it’s time to stuff your turkey! Take your stuffing of choice, prepared and cooked in advance, and stuff the main body and lower cavity of the turkey. To close the opening of the turkey cavity, use oven hooks, pins, cord or stitch with butcher’s twine. 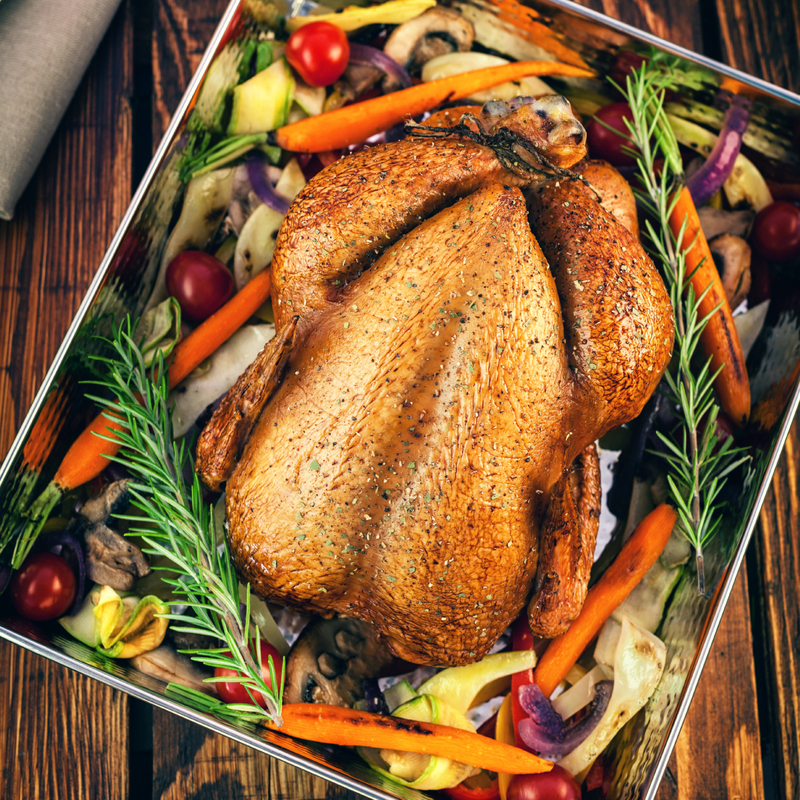 Place your turkey on a roasting rack inside a baking pan and place inside the preheated oven. Roast at 325-350° (170-180°) for 4-5 hours, periodically peeking through the PANORAMA window to check for drippings. When your turkey starts to create drippings, spoon or baste the liquid onto the turkey. Repeat this step every 15-20 minutes until golden brown and thoroughly cooked through. Once finished, remove your turkey from the oven and allow it to rest for a few minutes. This will allow the turkey juices and flavor to redistribute throughout the meat. While the turkey rests, turn your remaining drippings into a quick pan gravy. Add drippings to a skillet or roasting pan with a pinch of flour. Cook over medium heat for 2-3 minutes until the flour dissolves. The gravy should be smooth and light brown. Add some broth and cook until the mixture comes to a boil and thickens, stirring constantly. Season with salt and pepper. Your turkey is now ready to carve! Cut into even slices and enjoy topped with your pan gravy. And when your guests have had enough turkey, finish the meal with our homemade pumpkin pie. Bon appetit!